IN AND AROUND THE NEIGHBORHOOD…..
National Night Out is scheduled area wide for October 7 this year. 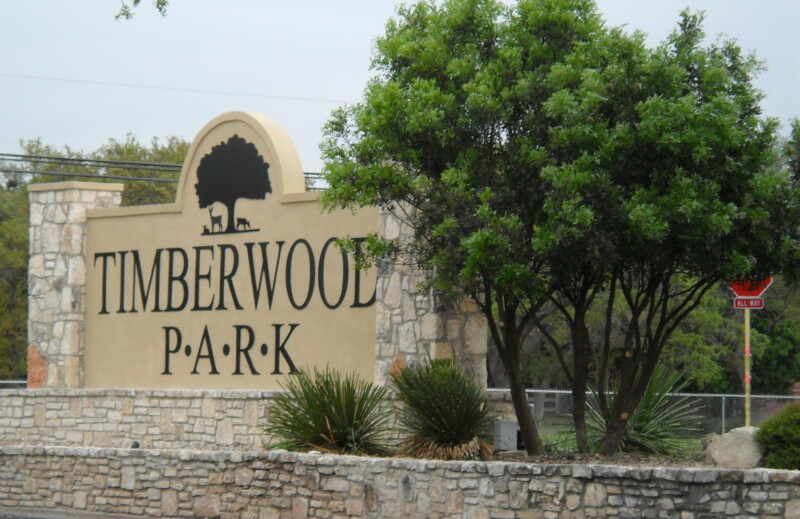 Neighborhood activities and events for Timberwood Park will be on a block captain provided basis. Check with your block captain to see if anything has been planned for your area of the neighborhood. Perhaps something is planned at the clubhouse for those of you who do not have an event to attend. Check with the park offices to see if anything might be scheduled in the park. The Bexar County Sheriff’s Office usually tries to attend many of the events throughout the community which includes Timberwood but they are spread over a very wide area so you may or may not see them at your local event. From April through June of this year there were approximately 15 reported criminal activities in and around our area (Timberwood and surrounding neighborhoods) including ID theft, vandalism and vehicle theft. From the list I saw recently, it appears that most of the incidents were vehicle thefts. Be sure to keep your valuables out of sight and/or out of your vehicle and lock your car doors to help eliminate the risk of an easy theft. WANT TO RUN FOR A BOARD POSITION? If you are interested in running for a position on the Board of Directors in the upcoming election at this year’s Annual Meeting, please fill out a Board Member Candidate Profile form and submit it by Friday, October 24, 2014. No nominations will be taken from the floor at the annual meeting; therefore, anyone who is interested in running for a position must submit a form. Contact Spectrum for the board member candidate profile form and/or check previous e-mails which have included the form. The next brush and bulk item drop-off is scheduled for October 25 in the park! Open from 9 a.m. to 1 p.m. volunteers will be on hand to help you with drop off of brush and those unwanted household items. Check your Spectrum e-mail for details about what is accepted and the park office should be able to help with your questions. If you want a good workout, join the volunteers in lending a hand at this widely appreciated event for property owners in Timberwood Park. There are still a few concerts left in the 2014 series. Check your Spectrum e-mails for scheduled performances coming soon! The correct date for the next Music in the Park is September 13th….thanks to those of you who helped me correct it!!! MUSIC IN THE PARK: I am sure you have all seen the Music In the Park notices and the next concert is this Saturday, September 13th starting at 6:00 p.m. Understand at last notice published that it will be held regardless of weather at this time. Performers are Jef with One “F” opening at 6 p.m. and Brent Michael Wood at 7:30 p.m.
HIGHWAY 281 INFO YOU MAY BE INTERESTED IN: As I am sure you know, the Alamo Regional Mobility Authority is planning an expansion of 281. Please click here for more information: http://www.bexar.org/526/281-North-Improvement-Project . HOA BOARD POSITIONS AVAILABLE: If you are interested in running for a position on the Board of Directors of the neighborhood association you will need to fill out a Board Member Candidate Profile form and submit it by Friday, October 24, 2014. No nominees will be taken from the floor at the annual meeting so if you are interested you must submit a form. If you have questions please send your inquiry to contact@spectrumam.com. GENERAL NOTES JUST IN CASE YOU WANTED TO KNOW: If any of you have GVTC you may have been experiencing problems with e-mail, websites, etc. this past week. From what I understand there was a problem with spam e-mail hitting some of the accounts (mine was one of them and that was a fun experience) and that they now have the problem corrected. My experience included receiving a HUGE number of spam e-mails, undeliverable e-mails and not being able to retrieve my own e-mails. Happy to see the problem has been corrected and appreciate the effort GVTC made in the customer support area. I was driving home from an event Wednesday night and knowing how dark our neighborhood is at night, I drive very slowly when traversing the streets of Timberwood. Near my home I had occasion to run into a flashlight being shined directly into my vehicle and into my eyes. Startled, I stopped the car, honked the horn and when I could see again, there in front of me was a golden retriever who, if I had not stopped, I would have hit. It (the dog) was not leashed and the flashlight was from the bicyclist I could not see in the dark riding with it. I urge you to be very careful on our streets at night. We have enough obstacles without property owner who think it is a good idea to ride a bike at night and take their dog for a walk without a leash! Enjoy your evening. Looks like we are going to get some rain!